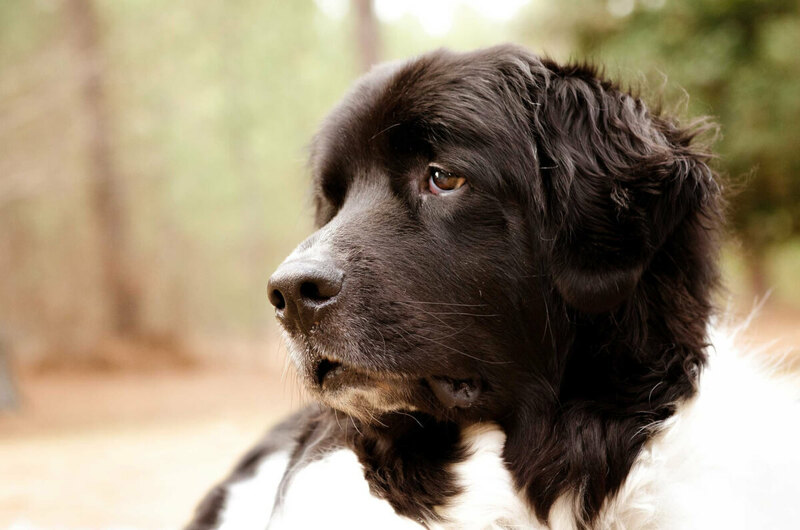 Understanding the Landseer, a Mastiff from Germany and Switzerland, is not difficult. Understanding the breed name and how it is accepted — or not — in the Western world can be a little confusing. 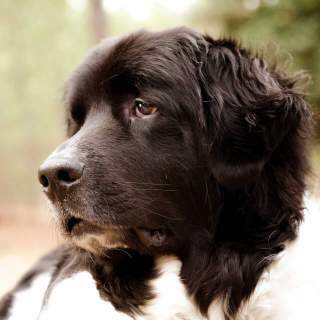 There is the Landseer ECT (European Continental Type) and then there is the Landseer Newfoundland (aka "Newfy"). 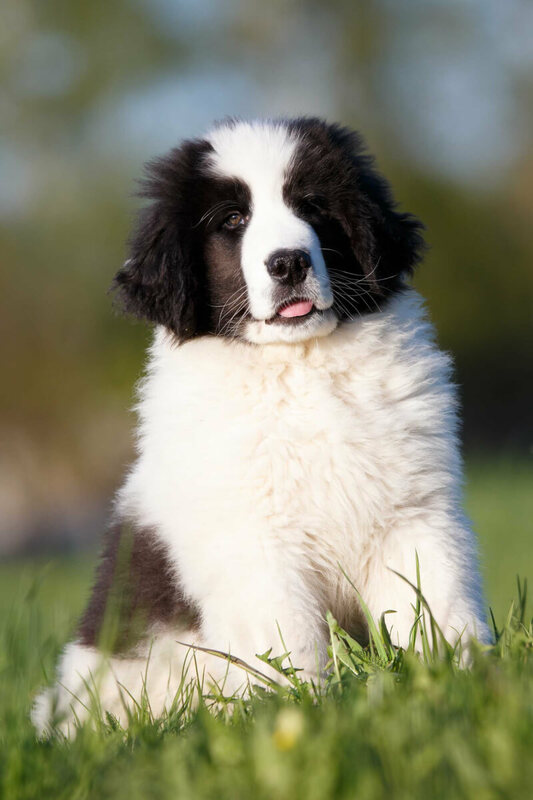 The U.S., UK and Canada and the kennel clubs in these countries identify the Landseer ECT as only a variety of the overall Newfy breed. As the name suggests, however, the ECT "variety" is considered a separate breed in Europe. Ironically, the Landseer was established as a breed in 1838 by Sir Edwin Henry Landseer, a British painter when he produced "A Distinguished Member of the Humane Society." This helped to popularize the dogs, and by 1960, the Fédération Cynologique Internationale (FCI) had recognized the breed. Landseers are mountain dogs who are best suited for guardian roles, but they are also very comfortable as companion animals. Kids should have no problems, but very small children need to be supervised. Non-canine pets should pose no issues. These huge dogs are fine as a first dog, but the big deal is the big space that is ideal for them. While they can adapt superficially to apartment life or non-rural settings, they will need exercise to make up for it. Left to do as they wish, Landseers will lie around and quickly become obese. The Landseer ECT — typically called just "Landseer" — is significantly different from the Newfoundland Landseer. These differences, however, are not formally recognized in the U.S. and Canada, but they are differences all the same. This giant dog's legs are longer, they are faster and they tend to be more agile than the Newfoundland Landseer. They are also taller, the breast is not as deep and they don't drool nearly as much as their Newfoundland counterparts. It's not so simple to say that the Landseer ECT is smarter than the Newfoundland, but the ECT is known to train easier, faster and with a better response. Training them is not always easy, however, as it can be challenging. They are sensitive, they do have a somewhat independent mindset and they are big dogs who know they are big. Swimming is what Landseers love to do. Both layers of their coats have a naturally oily, water-repellent trait, and along with the webbed feet, this allows a remarkable strength and agility in the water. If they live indoors most of the time, it should be noted, they will lose their undercoats. Despite being gigantic dogs, the Landseer is remarkably calm and requires not nearly as much exercise as some might think. A moderate daily walk and some outdoor room to run are good. Many say that letting these dogs swim instead of always walking and running will work well for these dogs. 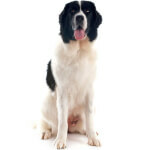 The Landseer ECT comes in just one color: white with black markings. 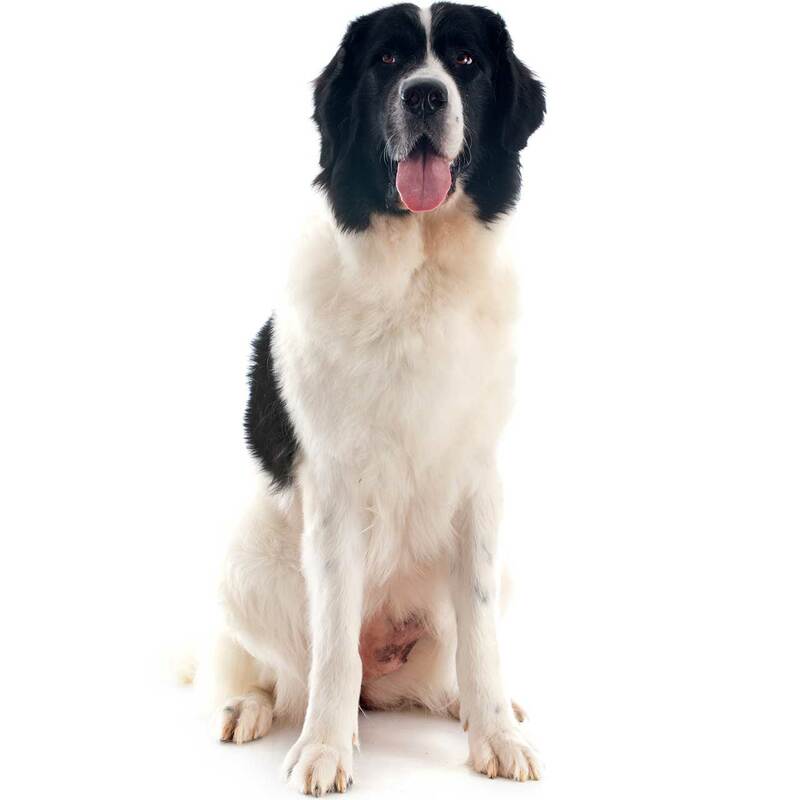 In North America, this breed is considered not a breed but a variant — based on color — of the Newfoundland Landseer. While the dog's pattern may be hodge-podge in real life, all the kennel clubs (such as the UKC, AKC, etc.) prefer that the pattern essentially displays a saddle and be symmetrical. Small spots are not appreciated as it tends to disrupt what is supposed to be an even pattern for the show dogs. When it comes to the Landseer ECT, there are no other colors. 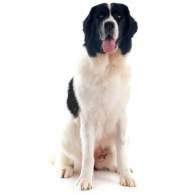 A brown Landseer will be a Newfoundland Landseer. Below are pictures and images of the Landseer. The Landseer has a great many health problems. There are so many very possible health complications that they have greatly shortened the breed's general lifespan. There are many extremely essential health tests and vet certifications that these humongous dogs need. It is also very important that some expensive tests (such as for SAS) be done when they are puppies and again before breeding any of these dogs. There are some differences in the Landseer ECT and the Newfoundland, however, and that is in the eyelids (which helps the ECT to not have most eye ailments) and a tighter lip (to basically prevent drooling). The Landseer ECT tends to have a life expectancy of 10 years. This average lifespan is a bit longer than the Newfoundland (8-10 years) but is still shorter than those that most giant dog breeds have.